Give your bathroom coastal flair with the Carte Postale Shower Curtain. 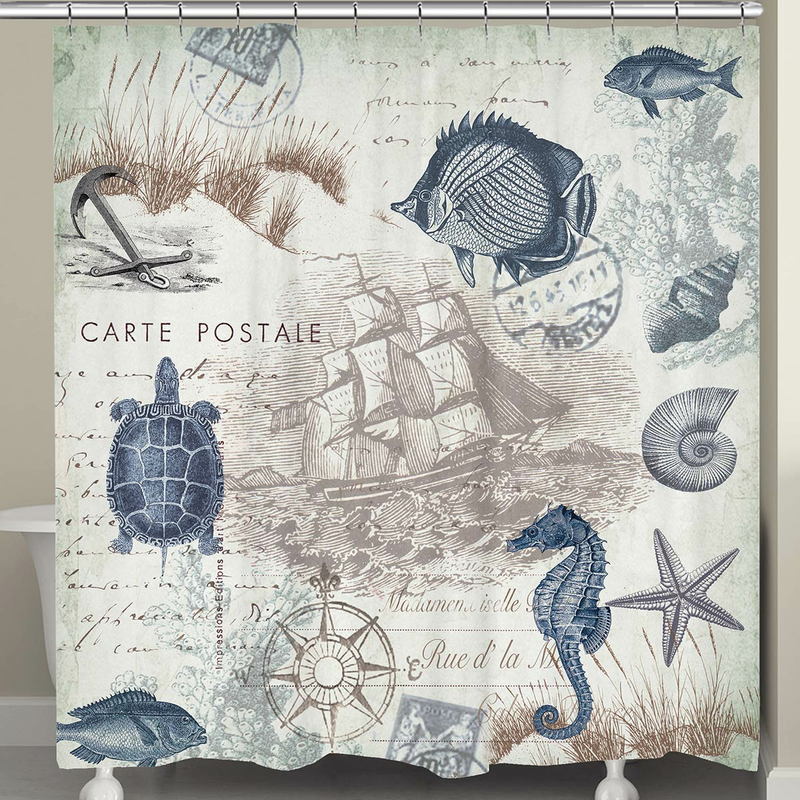 These beach themed shower curtains are detailed with navy, tan and gray nautical icons, sea creatures and shells. Ships from the manufacturer. Allow 1 to 2 weeks. Cannot express ship. For more offerings, we encourage you to take the occasion to browse our entire inventory of beach themed shower curtains at Bella Coastal Decor today.